A growing body of research is showing that there are many physical and mental health benefits to practicing meditation. Mindfulness (vipassana) meditation is useful in managing pain and distressing mood states. According to the National Institute of Health’s National Center for Alternative and Complimentary Medicine (NCCAM) “there’s evidence that [meditation] may reduce blood pressure as well as symptoms of irritable bowel syndrome and flare-ups in people who have had ulcerative colitis… ease symptoms of anxiety and depression… help people with insomnia… lower the incidence, duration, and severity of acute respiratory illnesses (such as influenza)… physically change the brain and body and could potentially help to improve many health problems and promote healthy behaviors”. Certain types of meditation can increase self-compassion as well as reduce self-critical perfectionism and feelings of inadequacy. preservation of grey matter volume in the brain as we age. In addition to improving overall wellness and aiding in the treatment of specific ailments, meditation improves the ability to focus and shift attention. In the research, meditation has been shown to reduce mind wandering which has been associated with decreased happiness. With practice we begin to understand that what we attend to defines our experience moment by moment. Meditation acts as a sort of mind training to help us get better at directing attention to what is helpful and important. This leads to greater well-being and improved functioning. The practice of meditation increases awareness of inner experiences and how the mind functions. Meditation cultivates mindfulness, or non-judgmental awareness of the present moment, allowing us to relate to experience directly through sensing rather than through thought or mental events. We begin to observe, with less judgment, physical sensations, thoughts, feelings, urges to action, habits, and behavioral patterns that impact our experience. We begin to discern the subjective and the objective, the relative and the absolute, so that we can see things more clearly with less expectation and bias. This makes space for skillful responding rather than emotional, automatic, or impulsive reacting. People who meditate regularly will find that they are better at catching themselves before acting out on unhelpful habits. 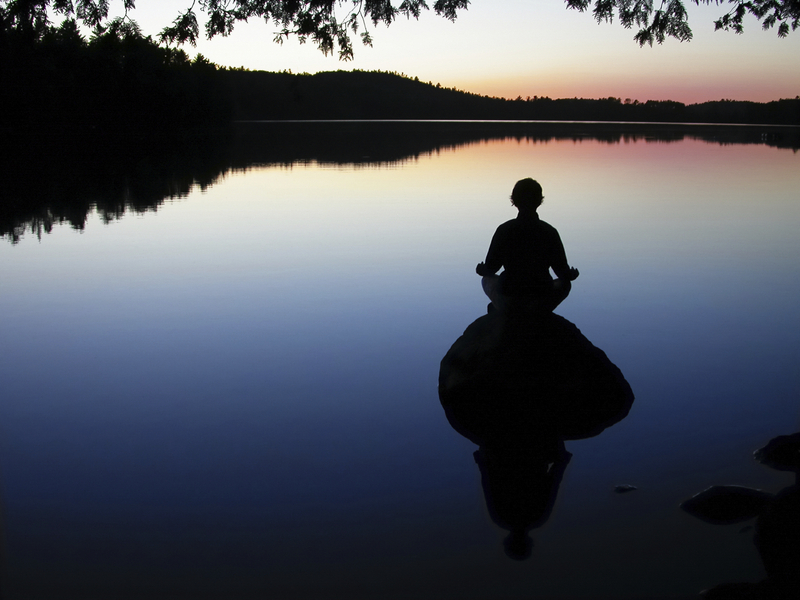 Over time, meditation develops equanimity or a sense of calm and balance, even in the face of difficulty. Sitting quietly for a period of time every day requires persistence and devotion. During meditation we practice non-interference; opening to and allowing what is here now, even when it is unpleasant. We find that this actually causes less suffering than our usual automatic response of grasping at and clinging to pleasant feelings while fighting against, pushing away, denying, suppressing, numbing, or distracting ourselves from unpleasant feelings. We learn to experience pleasure and pain without acting out of attachment or aversion. We see how our inner experiences wax and wane, come and go – that everything is ever-changing; impermanent. If we observe something long enough, it will change. It follows that, with practice, we find that we are more patient and we have greater confidence and courage in facing challenges. Any of these correlates of meditation may allow us to get closer to our potential. When we embody the practices we act from our “best selves” and when we are at our best, our beneficence impacts others. Space is made for others to get closer to their best selves. Suffering is decreased. A beneficial cycle begins – a ripple effect reaching far beyond our internal experience in any given moment in time.